Nefertiti’s Flame Earrings dance with color and light. This design features 16.30 carats of Ethiopian opals set in Adam’s signature AlbaGold™ with 1.14 carats total weight of pavé set diamonds. One of the original “precious gemstones,” opals have been celebrated and coveted through the ages. 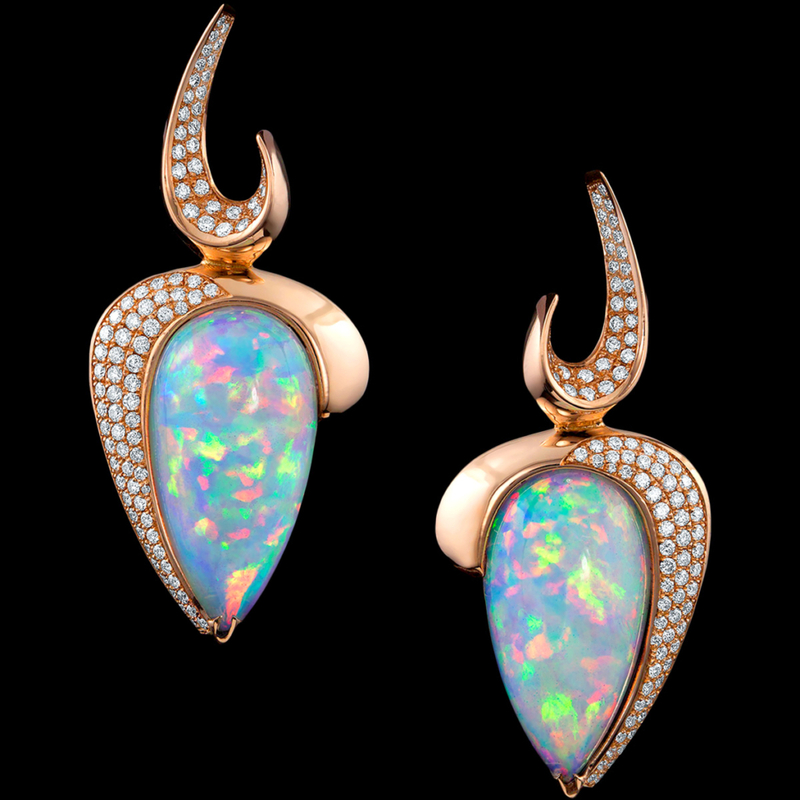 Learn more about the magic of opals on our blog.